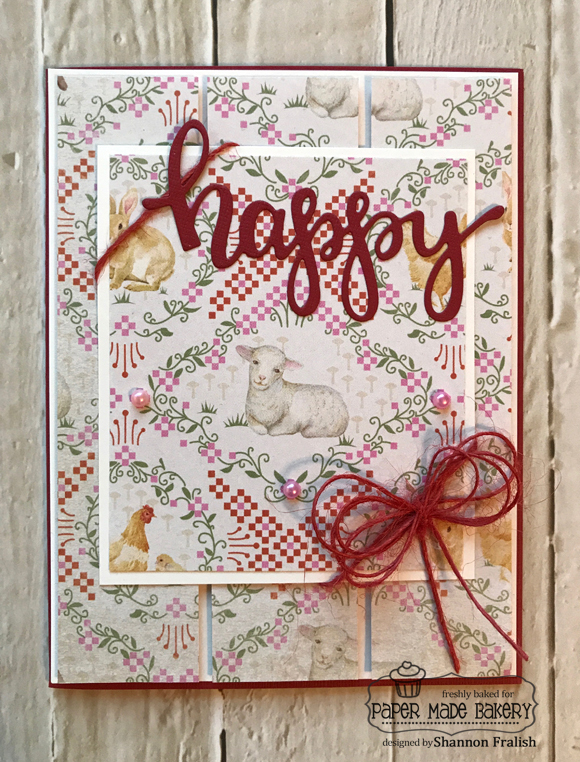 I've been thinking about springtime, bunnies, and the like, and decided to take that top row (twine, bold sentiment, and red) and turn it into something sweet and charming. 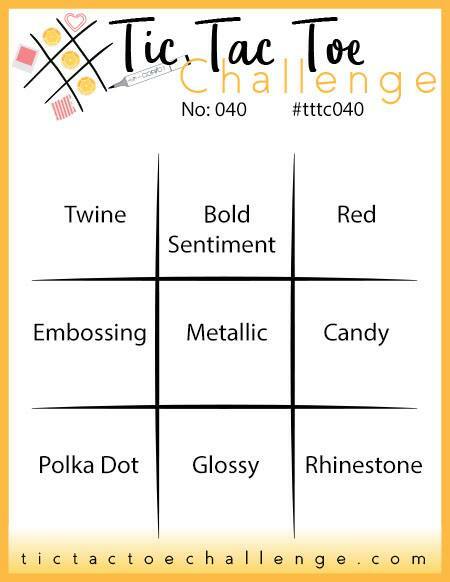 Twine, Bold Sentiment, and Red hardly seem like an Easter card, right? I took some liberty with "red" and used a brick (or maybe dark carrot?) red for the bold sentiment and twine color, as those just worked so well on this uber sweet patterned paper by Authentique from their Jubilee line. I popped up strips of that paper with foam tape onto the card's base and then added some pink pearls around the lamb focal point. 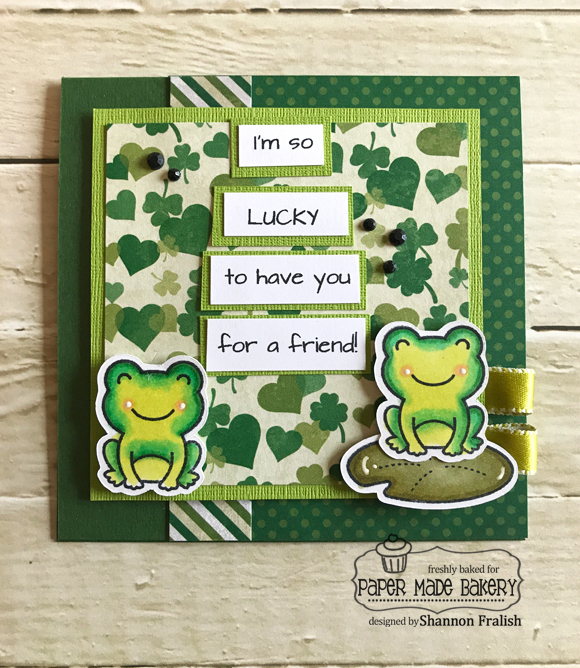 The "happy" sentiment die cut is from Taylored Expressions. 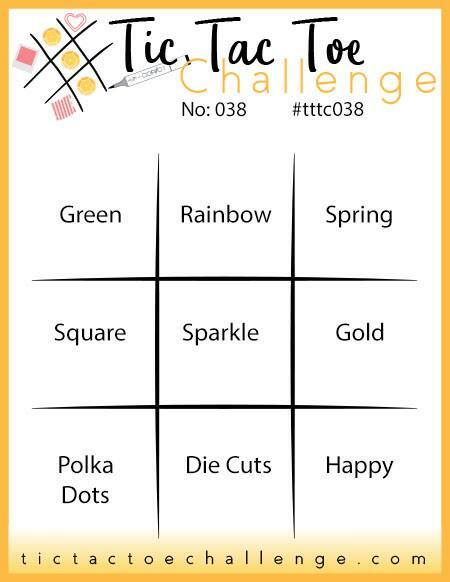 Hope you're thinking about taking some inspiration from this week's Tic Tac Toe Challenge board because we'd love to see what you come up with! Be sure to link your creation to this week's post! !